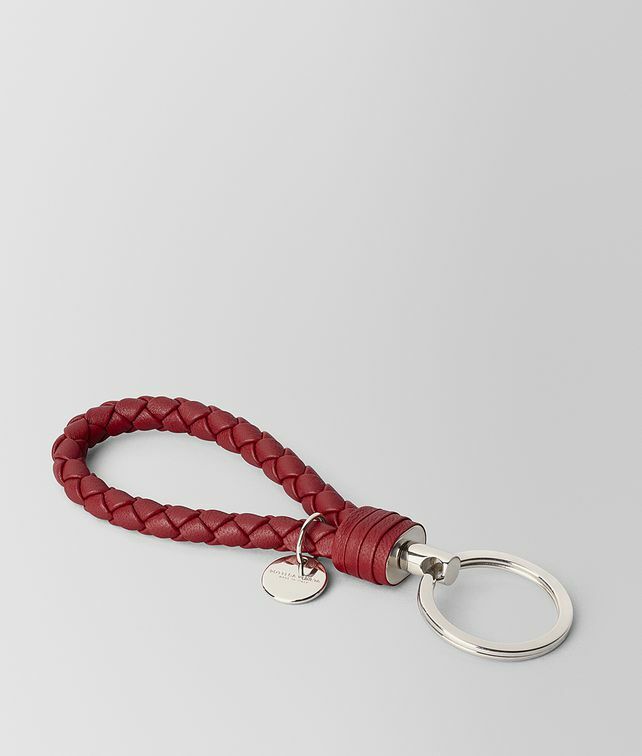 This distinctive key ring is hand-crafted from nappa leather, woven into a double stranded intrecciato cord. Finished with brunito-metal details and a discreet logo tag. Hardware: Brunito finish Height: 13.5 cm | 5.3"
Width: 3.5 cm | 1.4"
Diameter of coaxial cord: 0.8 cm | 0.4"